The compact sedan category isn’t always known for its performance capabilities, but the 2018 Toyota Corolla is working to change that reputation. This new model is powered by an efficient four-cylinder engine and includes features which make it more fun to drive than ever. 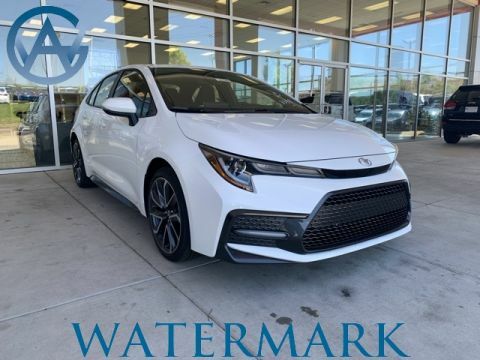 Whether you’re heading out on a long road trip from Madisonville, or need a reliable car for commuting near Bowling Green, the Corolla will exceed your expectations. Find out more at Watermark Toyota today! The Corolla’s 1.8L four-cylinder engine puts out 132 hp and 128 lb-ft of torque, enough power to get up to speed on Interstate 75. Choose between a precise six-speed manual transmission or an efficient continuously variable transmission with manual shift mode (CVTi-S). 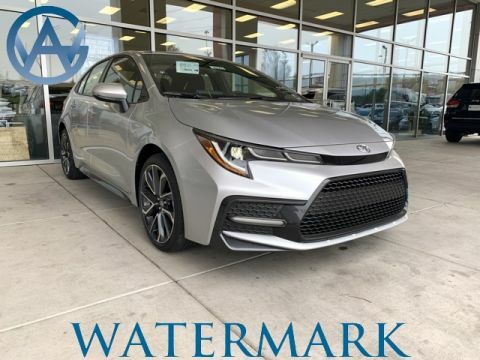 This Corolla trim features a slightly different engine that delivers 30 mpg city/40 mpg highway/34 mpg combined, while still providing 140 hp. The entire Corolla family is designed to cut through the wind at any speed, reducing road noise, lowering fuel economy, and making it faster. All Corolla trim levels benefit from Toyota’s commitment to fun, sporty driving, and the Corolla SE and XSE include some exclusive performance features. A racing-inspired instrument cluster lets you know exactly how much power you’re getting out of the Corolla, and a Sport Mode provides a high performance edge to your day-to-day driving activities. On top of that, available paddle shifters in the XSE trim add precise shifting to the Corolla’s efficient continuously variable transmission. Next time you’re headed down to Stroh Center to see the Falcons play, you’ll be glad you added these extra performance features. Ready to try out the Corolla for yourself? It’s time to visit Watermark Toyota. We offer a wide selection of new Corolla models, and our Watermark Warranty covers your vehicle for years to come. We’re located at 1055 Crossing Place in Madisonville, KY, right off of Interstate 69. Schedule a test drive today to see what so many drivers are talking about!